Change, whatever form it may take, doesn’t happen by accident. It takes vision, dedication, time and most importantly, leaders. And our industry is full of them. Full of people, like you, who are highly motivated, absolutely brilliant, and passionate about communications and the power to use their skills to change behavior. But, we also know that you need more to feel truly fulfilled. At the end of the day, we are a generation of people who care less about making a fortune on Wall Street, and more about making a difference. Although we know it’s not easy to get exactly what we want out of our careers. It is possible. In this blog post we wanted to provide you with some fantastic insights and inspiration as to how you can be the next big innovator at your company. How you can turn your role, your company and your industry into one you’re even more passionate about. As we often say, don’t change companies. Don’t change industries. Change the company or industry you’re in. We recently caught up with Maggie de Pree of the League of Intrapreuneurs and the Human Agency to get some guidance for anyone out there who is keen to make waves at their company and shake things up a bit. So if you’re keen to be a force for change, or know someone who could be, but needs a little help in making big things happen, this post is for you. TIE: Maggie, as you know, we love that the intrapreurship movement is taking off. For those out there who aren’t sure about what Intrapreneurship is, can you define it for them? MAGGIE: Intrapreneurship is essentially ‘entrepreneurship on the inside’. Rather than setting up an entirely new company to make change, people are realizing the power of driving change from within – leveraging the assets, talent and brands of big organizations. TIE: We know you are often speaking at Intrapreneurship events and the voice for the movement. Can you give us a bit of an insight as to what is happening within the private sector, and how things are changing – for the better? MAGGIE: One exciting and positive trend is the growing appetite people have for meaning in their work. This desire is opening up innovation across the board and resulting in efforts like Vodafone’s M-PESA, Accenture Development Partnerships and Novartis’s Arogya Paravar. TIE: Since TIE launched in 2007 we’ve been trying to inspire the future intrapreneurs of the communications world. But we also know it’s not easy to be a ‘change maker’ in a private company. What would you say to someone who is keen to challenge the status quo and get the most out of their career at their current company? MAGGIE: I would advise aspiring change makers to take time and truly listen. Listen to what the world is telling you. Listen to uncover the motivations of decision makers in your company. Then find ways to connect the dots. You won’t be rewarded for championing just any cause – you need to find ways to link the things keeping your leadership up at night with the issues you care about. For more tips and resources to drive change from within, see The League of Intrapreneurs recently launchedCubicle Warriors Toolkit. TIE: We know it’s not always easy to shake things up in the private sector. Gib Bulloch from Accenture said it beautifully – Social intrapreneurs are two thirds changemaker, one third troublemaker. Get the balance wrong and you’re liable to be snuffed out by the corporate immune system. What are some tips you can suggest to someone who is feeling like they are facing a bit of an uphill battle to do things differently? MAGGIE: Find your support network! You cannot drive change from within on your own. Enlist champions who will support you inside and outside of the company who can act as a sounding board, help you navigate internal politics and provide much needed emotional support. TIE: Do you have any inspiring stories to share from your many years of working in this area? MAGGIE: One of the first social intrapreneurs I met was Sam McCracken at Nike. Sam’s story is a wonderful example of how many intrapreneurs don’t always have carefully produced spreadsheets or 3-5 year strategic plans. As he once told me, ‘I heard a need in my community and I listened. I didn’t have a grand plan.’ Sam, a member of the Native American Sioux Tribe, was working in Nike’s warehouse in Beaverton, Oregon when he identified an opportunity to help address chronic obesity and diabetes plaguing his community by leveraging Nike’s product and brand. What started small has grown into an entire business unit for Nike called N7. The mission of N7 is to inspire Native American and Aboriginal youth to participate in sport and physical activity. They fund their activities through the sales of N7 products, which embody Nike’s considered design ethos to create performance product with low environmental impact. 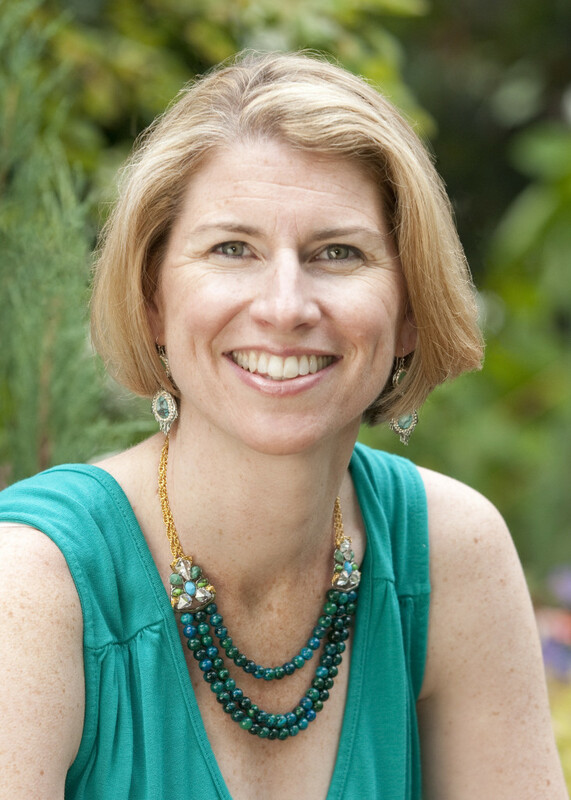 Miriam Turner at Interface, a global carpet company, is what you might call a ‘serial intrapreneur.’ After a recent project ‘failure,’ she took the lessons learned from that initiative and developed her Net-Works. This project removes discarded fishing nets from our seas (a major source of marine debris) and recycles them into new carpets. In the process they have created an ‘inclusive business model’ where local communities are compensated for recycling the old nets – providing an opportunity for much needed additional income. You can listen to Miriam tell the story of Net-Works HERE. 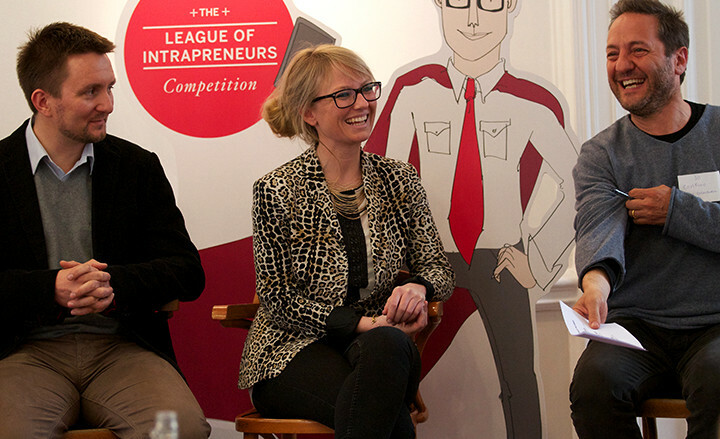 You can also read more inspiring stories from our League of Intrapreneur Competition Finalists HERE. TIE: Do you have anything else to share? MAGGIE: Too often people think they need to leave their company to have a positive impact. What I hope we are doing by supporting the intrapreneurship movement is to show individuals that one of the most powerful places to make change is from where they currently are. You have networks and skills that if creatively applied can drive meaningful change at scale. So, what are you waiting for?